November 18, 2013 – Los Angeles, California – Rock legend Stevie Nicks, fresh off of Fleetwood Mac’s sold out worldwide tour, will be releasing her intimate DVD documentary “In Your Dreams,” it was confirmed today by Warner Bros. Records. “In Your Dreams” is a portrait of the illusive Nicks as she and Stewart embark on a musical journey to write and record the critically acclaimed “In Your Dreams” CD , Nicks’ first studio album in over a decade. Nicks called this “the greatest year of my life” and felt compelled to share the joyful experience with her fans. 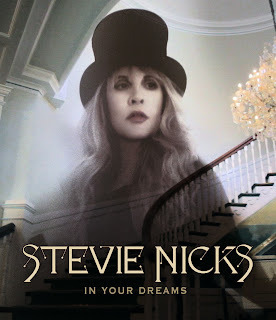 Co-produced and co-directed by musical wizard Dave Stewart, “In Your Dreams” was shown at The Hamptons International Film Festival, Mill Valley Film Festival, SXSW and Toronto Film Festival, and had a theatrical release in 53 cities. 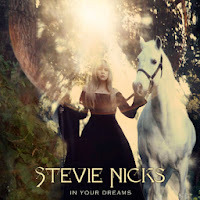 The inner life of the legendary Nicks has by her design long been kept at a distance from the public.. We learn in “Dreams” that her world features costume parties, elaborate dinner feasts, tap dancing, fantasy creations and revealing songwriting and recording sessions all of which are captured on film. Fans will also get to see cameo appearances by Edgar Alllan Poe, Mick Fleetwood, Reese Witherspoon, a massive white stallion in the backyard, owls and naturally a few vampires who appear in several “home movie” style music videos. Along with tracking the Nicks/Stewart creative partnership, “In Your Dreams” has plenty of other cinematic payoffs including rare never before seen personal scrapbook stills from Nicks’ childhood and a wealth of candid backstage and performance shots taken over the last 35 years. The documentary was produced by Dave Stewart’s Weapons of Mass Entertainment. Pre-Order the DVD Now: Warner Bros. | Amazon The Warner Bros. DVD is a "Region 0" DVD meaning: unrestricted international usage. It will work in all players. 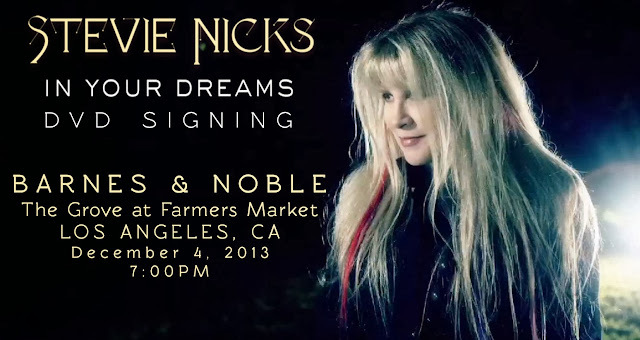 What a great photo of Stevie on the ad for the book signing. She is still so beautiful. ^ Agreed, it's an incredibly cool picture of Stevie. Is her hair dyed red or is it a ribbon?